Paint dispensing (often referred to as blending, dosing or tinting) can be divided into two production methods: “In-can”-tinting or Batch dispensing. 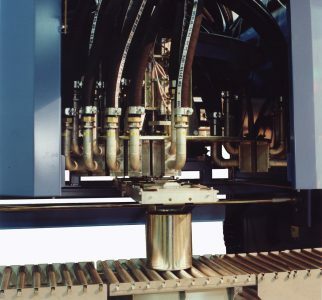 “In-can”-tinting means that a large production batch (e.g. 1.500 kg.) is subdivided into small portions (60 x 25 kg.) and that these small portions are being dispensed directly into the can (sales packaging). Advantage of this method is that it is not necessary to produce a large batch first, mix this batch, connect the homogenised batch to a filling machine and fill it into the previous mentioned 25 kg. cans. 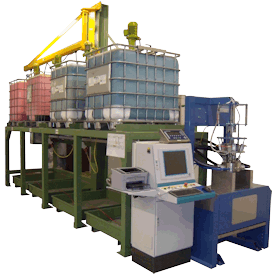 Normally you should have to clean the mixing unit and filling machine after each product change. With “In-can”-tinting you can save costs on cleaning time and cleaning liquid. GEMINI produces dispensing installations that are able to dispense large batches (up to 6.000 kg.) as well as small volumes (e.g. 1 ltr. containers). 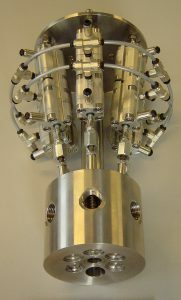 Therefore GEMINI has developed different type of dispensing heads (each suitable for it’s application). 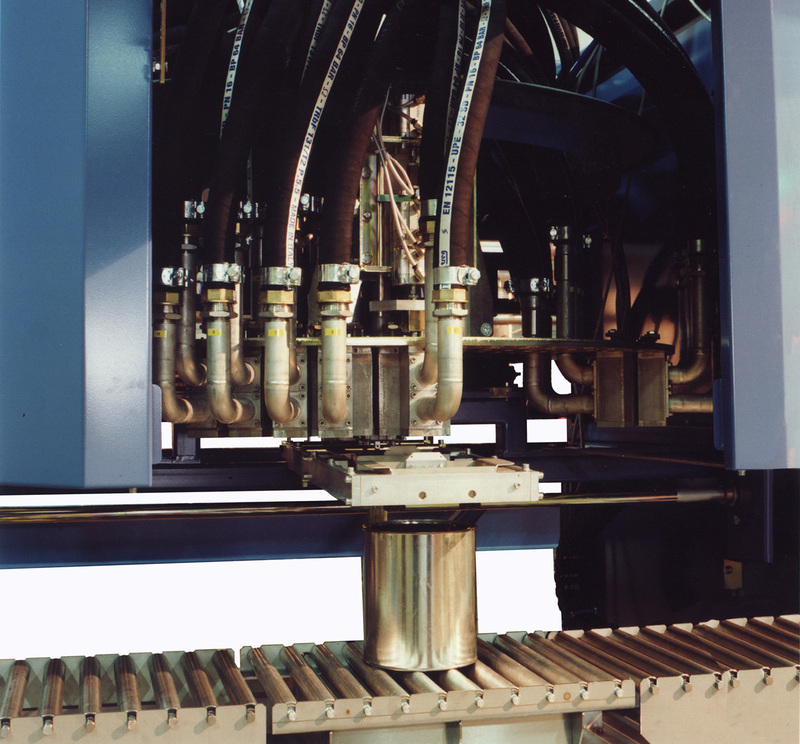 GEMINI produces customer-specific applications for various industries. 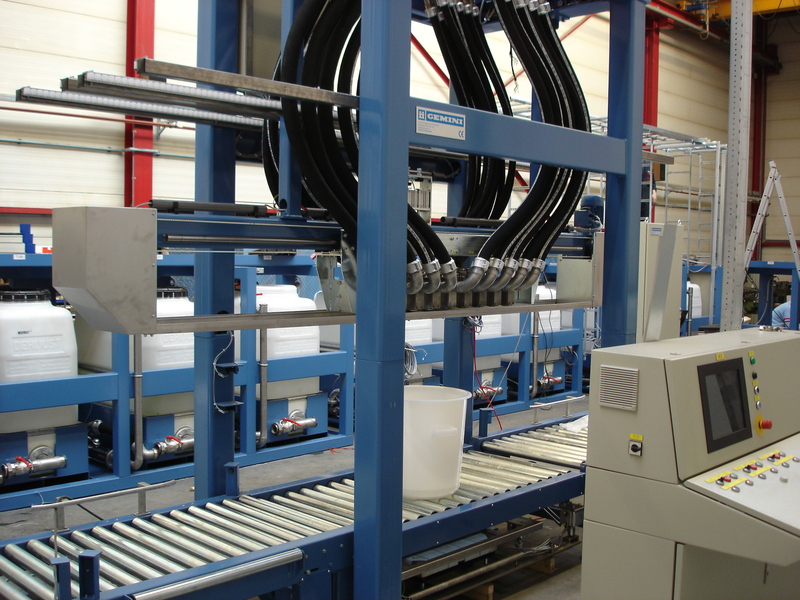 Discover here our extensive overview of dosing products and dosing machines.